by Sandeep Nasa and Shankar Arora, Logic Fruit Technologies Pvt. Ltd.
UVM is the most widely used Verification methodology for functional verification of digital hardware (described using Verilog, SystemVerilog or VHDL at appropriate abstraction level). It is based on OVM and is developed by Accellera. It consists of base libraries written in SystemVerilog which enables the end user to create testbench components faster using these base libraries. Due to its benefits such as reusability, efficiency and automation macros it is a widely accepted verification methodology. UVM has a lot of features so it's difficult for a new user to use it efficiently. A better efficiency can be obtained by customizing the UVM base library and applying certain tips and tricks while building UVM testbenches, which is mainly the purpose of this article. Focus on the common mistakes made by the novice engineers or experienced users while working on UVM Methodology. Tricks to enhance the productivity using UVM Methodology. Conventions for using UVM methodology features. Common hierarchy giving well defined architecture which is easy to understand and manage. Most of the engineers which are new to UVM or have RTL experience may not be able to create efficient and productive testbenches due to unfamiliarity with the OOPS concepts, UVM base class library and UVM verification environment architecture. This article will furnish several examples to improve the performance of the UVM testbench by applying different optimizing techniques to random access generation, configuration database, objection mechanism, sequence generation, loop usage. The rise in level of complexity of the chips due to the addition of more features has direct impact on the level of abstraction at which the chips are designed and moreover on the verification of these chips which consumes almost 70 percent of the time to verify these chips. Therefore, there is a requirement for a common verification platform which can provide standard structure, and standard base libraries with features such as reusability, simplicity and easy to understand structure. UVM methodology fulfills all these requirements and is universally an accepted common verification platform. This is the reason why UVM is being supported by major vendors (Mentor®, Synopsys® and Cadence®) which is not the case with the other verification methodology developed thus far. All aims mentioned above are explained in detail below. In case of UVM project, source files are added in the packages by using `include directive. So, in bigger projects there might be a condition when two packages might include the same files and these packages may be included in the same scope. These may result in compile time errors. So, to overcome such a scenario, it is necessary to make proper use of compilation directives such as `ifndef, `ifdef and macros such as `define. So, in this case we observe that both the pack-ages contain the same file adder_design.sv. Hence, the compilation of the top module may result in compilation error -> "multiple times declaration" since the adder_design file is included twice and code is duplicated. So, in this case before including code we are specifically checking if ADDER_DESIGN is defined or not (by using `ifndef macro), if not defined only then define it by using (`define) macro and add the adder code. This overcomes the error encountered in Example 1 since at the time of compiling package pkg2, it will find that ADDER_DESIGN parameter was already defined. Therefore, it won't add the code present in this file again and overcome multiply defined error. In addition it is recommended to place the most frequently used files inside a package and then import it inside other components. This is more efficient than using `include for file inclusion in components separately, because code inside the package will compile only once but code added using `include will compile as many times as it is present. Moreover, it is much easier to refer only to selected parameters, functions and tasks from packages as compared to using `include file directives, which cause all file contents to be added and compiled, even if we never use them. Sometimes we are getting issues while using fork-join in for loop, the issue along with resolution is explained below with example. The code above gets successfully compiled but does not produce expected results since it will only print the last value of "i" i.e. 4 for each iteration of the loop. The reason for this prob-lem is given in the SystemVerilog LRM Section 9.6 which states that "The parent process continues to execute concurrently with all the processes spawned by the fork. The spawned processes do not start executing until the parent thread executes a blocking statement." Solution: The solution to the given problem is also suggested in the LRM which states that "Automatic variables declared in the scope of the fork…join block shall be initialized to the initialization value whenever execution enters their scope, and before any processes are spawned. These variables are useful in processes spawned by looping constructs to store unique, per-iteration data." Therefore, in this case the variable l is declared as automatic and for every loop iteration, a new value is allocated to variable l and passed to the respective task. Various scenarios are explained below for improving randomization. 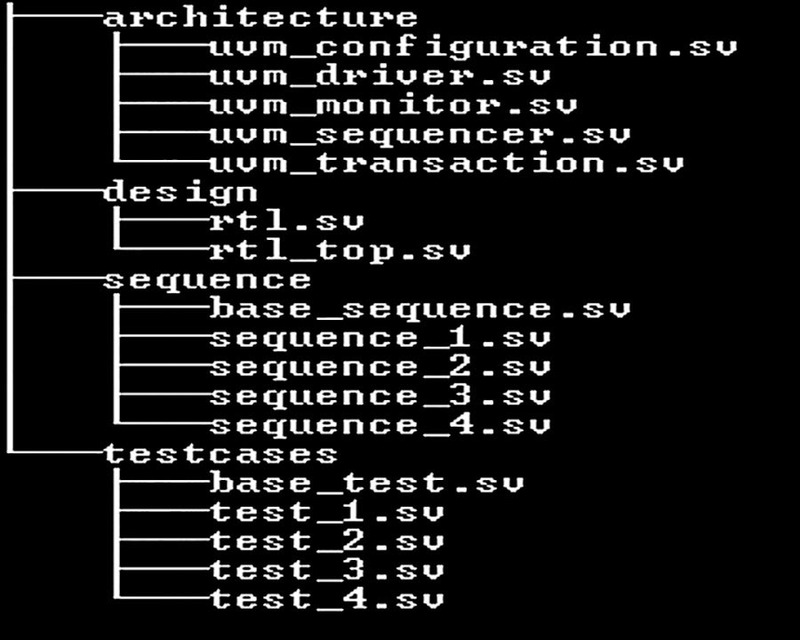 a. SystemVerilog UVM sequence generates interesting scenarios by randomizing and constraining the data items of the transaction class. Generally, the constraints are specified in the transaction item class. SystemVerilog also allows you to add in-line constraints in the sequence body, by using the `randomize() with `construct. Here the "with" feature is used to override the address but instead the code generates a transaction with addr as hbfdf5196. So why is the intended value of trans.addr not applied with the inline trans.addr == addr constraint. The problem arises when you try to make the transaction item address equal to the address in the calling sequence class using the above in-line constraint. The result is undesirable since the constraint will actually cause the seq_item address (trans.addr) to be equal to itself. This gotcha in SystemVerilog arises because we have addr as a variable defined in both the transaction class as well as the sequence class. SystemVerilog scoping rules pick the variable which is part of the object being randomized. "Unqualified names in an unrestricted in-lined constraint block are then resolved by searching first in the scope of the randomize() with object class followed by a search of the scope containing the method call —the local scope." This use of "local::" makes sure that the constraint solver looks for the address following the local:: only in the local scope (i.e. the address in the sequence class seq). So, now the constraint will be the desired one which states that while randomizing the address of the transaction class, the constraint solver should make sure that the address of the transaction should be equal to the address in the sequence seq. b. Dynamic arrays declared as rand can be a source of error for some new users. It won't randomize the size of dynamic array when we try to randomize it based on how the code is written. Consider the example of an Ethernet packet. The solution to this issue is that the size of the dynamic array or queue declared as rand should also be constrained. So, in this case we get an error message that randomization failed and simulation stopped. printed above and rewrite them. In this particular scenario, the problem occurs due to the conflict between constraint solving and cyclic randomization. This is also tool dependent. So, if the tool wants to solve one of the variables first, it has to compromise with the cyclic nature of the randc type of the variable. In this code we have removed the constraint which won't conflict with the cyclic behavior of randc variables. This is the only solution to overcome this issue. The "uvm_config_db" should not be used to communicate between different components of the testbench when the number of variables becomes too much. Instead it's better to have a common object. By doing this we can avoid the calling of get and set functions and improve efficiency. For example, setting a new variable value inside one component and getting it inside a in another. //This created in the producer component and the consumer component has a handle to the object. The above code results in higher performance due to absence of the get() and set() calls used in the uvm_config_db along with the use of the expensive wait_modified() method. In this case, both the consumer and producer share the handle to the same object, therefore any change made to the id_value field in the producer becomes visible to the consumer component via handle. Using UVM factory provides an override feature where an object of one type can be substituted with an object of derived type without changing the structure of the testbench. This feature could be applied to change the behavior of the generated transaction without modifying the testbench code. This override results in extended lookup in the factory each time the object gets created. Therefore, to minimize the costly impact of this factory overriding, first create an object and then clone it each time it is used to avoid the use of factory. Initially, the uvm_printer class was designed to be used with uvm_field_macro in order to print the component hierarchy or transaction fields in several formats. This class comes with performance overhead. This performance overhead can be avoided by using convert2string() method for objects. The method returns a string that can be displayed or printed using the UVM messaging macros. The call to get_register() and get_fields() methods returns queues of object handles where queue is an unsized array. When these methods are called, they result in these queues getting populated which can be an overhead if the register model is of reasonable size. It is not worthy to repeatedly call these methods. So they should be called once or twice within a scope. In the code above get_registers is called inside the loop which is less efficient. In efficient code, call to get_registers is kept outside the repeat loop, so that only one call is made to get_registers() and avoids the overhead associated with the repeated call. UVM provides an objection mechanism to allow synchronization communication among different components which helps in deciding when to close the test. UVM has built-in objection for each phase, which provides a way for the components and objects to synchronize their activity. Objections should only be used by the controlling threads, and it is also very necessary to place the objections in the run-time method of the top level test class, or in the body method of a virtual sequence. Using them in any other place is likely to be unnecessary and also cause a degradation in performance. In this code, the objection is raised at the start of the sequence and dropped at the end, therefore enclosing all the seq_items sent to the driver. This code above is not very efficient since the size of the array is calculated during each iteration of the loop. The efficiency of the code can be improved by calculating the size of the array outside the loop and assigning it to a variable which is then checked in the conditional portion of the loop. So, in this case the size of the array is not calculated during every iteration of the loop. Instead it's calculated before the starting of the loop. Here in efficient code, we used particular hierarchy compared to "*" in less efficient code for scope of set parameter/object. Reduce the number of virtual interface handles passed via uvm_config_db from the TB module to the UVM environment. Generally uvm_config_db can be used to pass virtual interfaces into the testbench. But it is recommended to minimize the number of uvm_config_db entries. The second example shows how a shared package passes the virtual interface handles from the top level testbench module to the UVM test class. The uvm_config_db::set() and get() calls get eliminated and also the entry from uvm_config_db for each virtual interface handle got eliminated. When the virtual interface handles are used more, a significant improvement in the performance is observed. a. It is a good practice to set the variables used in different files to be declared in a single file by using `define macro so that they can be referred by that name and moreover any update in the value will be changed only in that file in which the variable is defined and the change will be reflected in all the files. Like: Preamble is of 8 bytes. And when we go deep into the hierarchy of the Ethernet packet, we can explore further fields deep in the hierarchy of the Ethernet packet some of them with the same size. So we can define the size of all the fields in one file. So, in the other files which needs to refer to the size of these fields we can just refer them by their names. Now suppose we need to generate packets of data with size 200 bytes. So, instead of making changes in all the files referring to the size of the data, we can just change it in the file where we defined the data size. Now the Ethernet packets will have data of size 200 bytes (1600 bits) and all the files referring to the data size will be automatically updated with the data size 200 bytes. b. All the enum fields should be placed in a separate file. For example: consider the examples of an open source libtins. Since we can put different types of packets in the Ethernet packet, we can define them in a single file and then refer them as required in other files. These are defined in the internal.cpp files in the libtins project and are referred by the files which have a header for different packets. It is better to create a proper project hierarchy to keep and manage and handle the project easily. For example the screenshot shows that how the different files are arranged in different project directories (test cases, sequences, architecture and design). In summary, the article focuses on the common mistakes made by the novice in verification and provides the solution to these problems through various tips and programming examples. Moreover, the article also suggests various tricks which can be applied to enhance the performance of UVM Testbenches. It also covers various conventions to be followed for making the code simpler and how to maintain the project hierarchy. "UVM and Emulation: How to Get Your Ultimate Testbench Acceleration Speed-up" Hans van der Schoot & Ahmed Yehia, DVCon 2015. "Easier UVM for Functional Verification by Mainstream Users", John Aynsley, Duolos. "The Top Most Common SystemVerilog Constrained Random Gotchas", Ahmed Yehia, DVCon Europe 2014. "Making the most of SystemVerilog and UVM: Hints and Tips for new users", Dr. David Long, Doulus. Historic Wins Begin with Preparing for Success. Will Safety Critical Design Practices Improve First Silicon Success?